PRODEX and SWISSTECH – once again THE meeting place for the Swiss MEM industry. 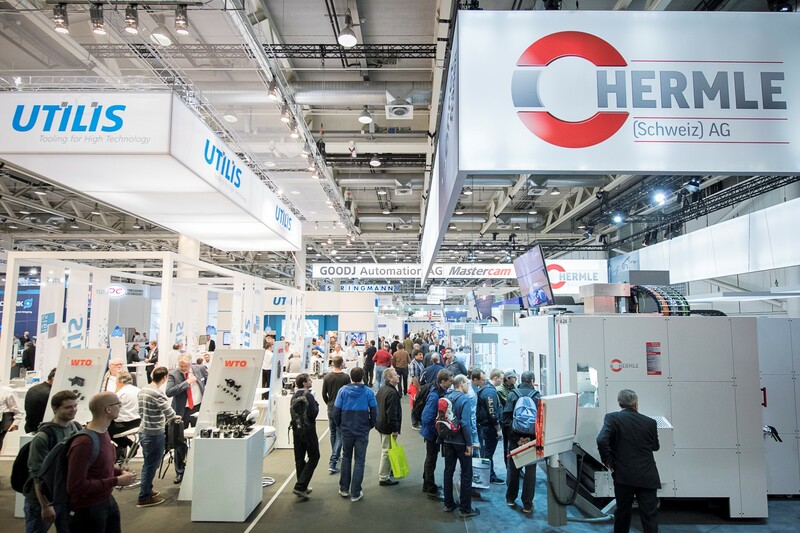 PRODEX’s clear focus as the Swiss trade fair for machine tools, tools and production measurement technology, and SWISSTECH’s consistent positioning as the international trade fair for materials, components and system assembly are yielding amazing results once more! The changing information requirements of trade fair visitors and the increasing presentation expectations of exhibitors have been taken into account – trade fair organiser Exhibit & More Ltd. has devised numerous new communication services and would now like to invite you to a premium-quality event in mid-May 2019. PRODEX will occupy the tried-and-tested Halls 1.0 and 1.1, while SWISSTECH will be concentrated in the Event Hall and Hall 1.1 with a view to improving visitor flow. This will allow visitors to access the exhibition area directly via the PRODEX entrance and the SWISSTECH entrance, establishing a seamless transition between the world of production technology and the range of supplier and production services. The transition area between PRODEX and SWISSTECH is given over to the innovative “Smart Manufacturing Platform”, spanning around 2,000 m2, which comprises various themed elements and will provide a unique networking zone. The revamped central “Smart Manufacturing Platform” includes a forum for training events and is also home to the stands of various industry associations, industry partners, universities and educational institutions, start-ups and innovation projects, and specialist media. There is also a restaurant area where experts have the chance to network and chat. The overhauled trade fair websites give visitors the opportunity to plan their visit online in advance and find out about the exhibitors and their products and services. The forum programme can also be viewed online. Trainees and students from the MEM industry are also invited to attend the trade fairs. Another fantastic service are the guided tours of the fairs, which are organised in close cooperation with the Industry 2025 initiative. A further highlight will be the presentation of the most important Swiss technology prize in manufacturing and production, the PRODEX Award, from 5.00 p.m. on Wednesday, 15 May. This year, the prize will be awarded for an impressive sixth time. The large number of entries – all in all 20 projects – goes to show how enormously important and highly regarded this prize is on the Swiss MEM scene. One ticket is all it takes to gain entry to the two trade fairs. In order to make it as easy as possible for trade visitors to get through the doors, you can already purchase tickets, i.e. before you actually visit the trade fairs. Simply register online now and print out your personal ticket: www.prodex.ch and/or www.swisstech.ch. The opening times have also changed and are now set as follows: admission from as early as 8.30 a.m., with the event concluding at 5.00 p.m.